Not everyone has the proper conditions or budget for keeping a pet. While it’s not exactly the same, we have some of the best virtual pet apps you can enjoy on your Android or iOS device. Did you know they still make Tamagotchi toys? As fun as that may sound, they’re not as popular as they used to be, mainly because we can now install an app to take care of a digital pet instead of having to carry around a separate gadget just for this purpose. 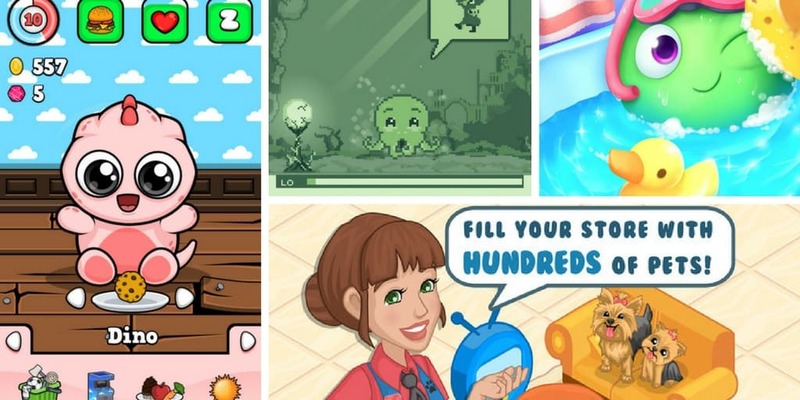 If you can’t have a real pet but would still like to at least pretend you have one, these virtual pet apps are all you need. And no, you don’t have to be a kid to use them! 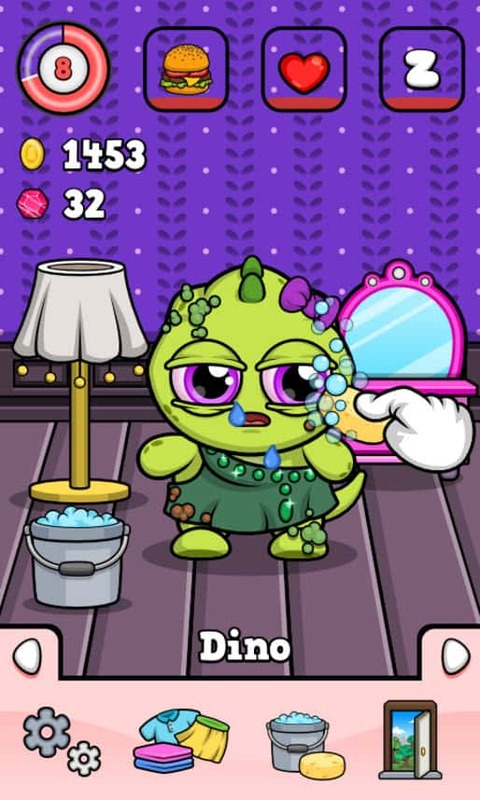 My Boo is a fun and cute looking game in which you will need to feed, wash, play with and everything else that involves taking care of your boo. There are also 20 mini-games included, so you will never get bored while playing My Boo. Interestingly, you can even add limbs and body parts to your blob of joy and change its appearance. If owning just one pet is not enough for you, then Pet Shop Story might be the perfect game for you. 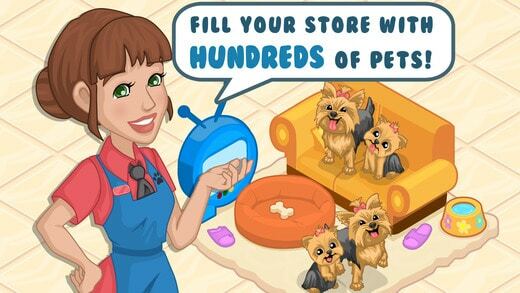 You will create your own pet shop where you will obviously need to take care of a lot of animals and even cross breed them to create some interesting pets. The game also has a simulation component since you will also have to manage your shop and gain more customers. 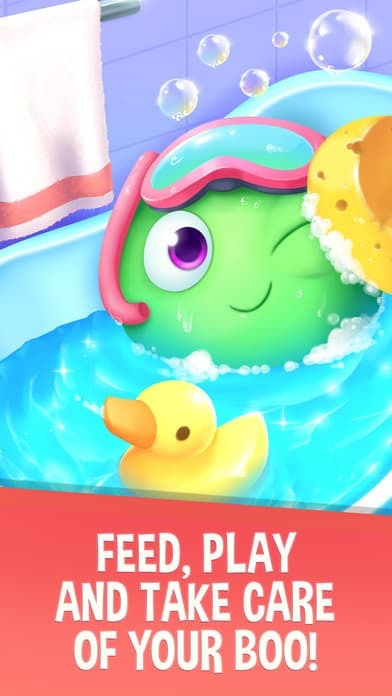 Remember Om Nom from Cut the Rope? If you found him adorable then I have some good news. You can now have him as a virtual pet. Nevertheless, be prepared – he might do some damage in the house and he’s very demanding. You will also have to do everything that involves taking care of him – feeding, bathing, playtime, and even brushing his teeth. 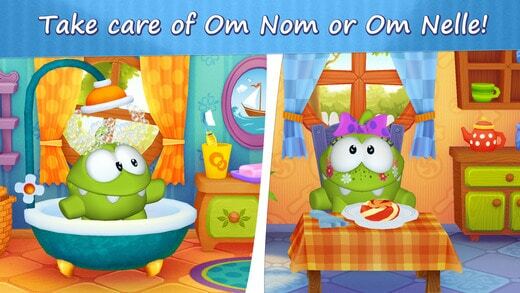 My Om Nom comes with the ability to customize your home, as well as mini-games you can play to pass the time and earn some coins. Even if you’re not a fan of H.P. 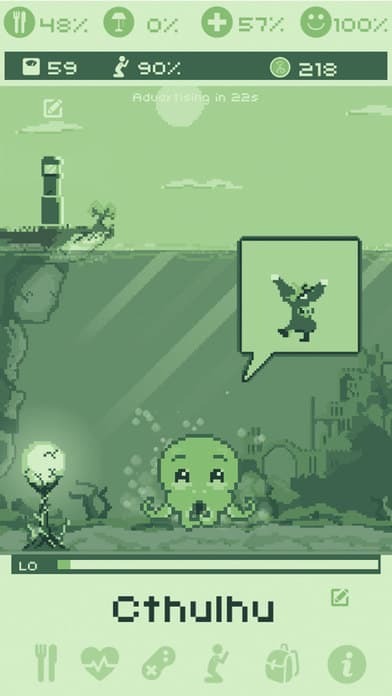 Lovecraft, I’m sure you will love taking care of Cthulhu as your pet. 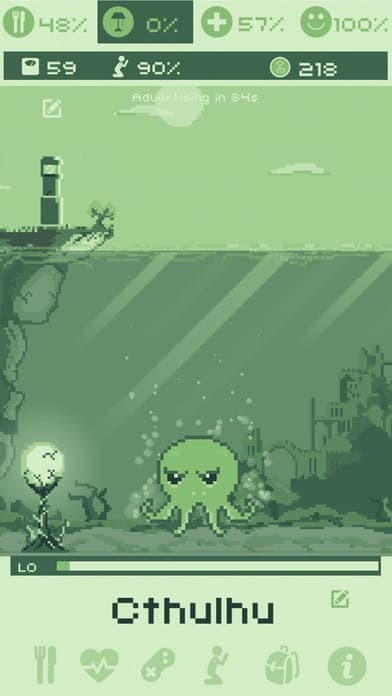 The game has a simple but appealing 8-bit graphics that will take you back in time. Now that the Great Dreamer is awake, it’s your job to raise him. You can obtain coins by getting high scores when playing the included mini-games which can be used to buy food and activities for your pet. To finish our roundup, I had to include Baby Dino although it’s an Android exclusive. If you don’t want to take care of a dog or a cat, then why not try it with a cute dino? You can customize your Dino in thousands of ways but also decorate your house and even create music for your pet. 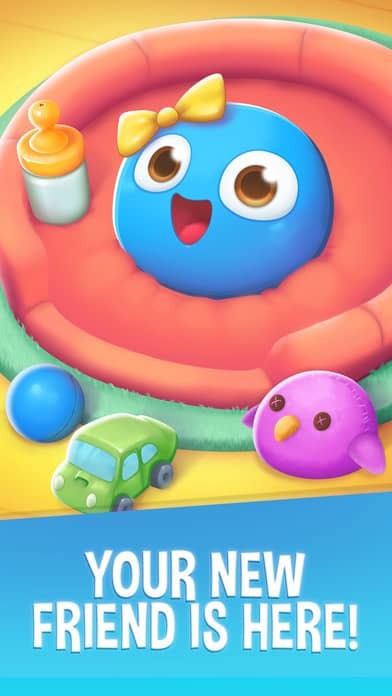 Like in other virtual pet apps, you can play mini-games in this one as well, which would also earn you more money to spend on stuff for your adorable baby Dino.